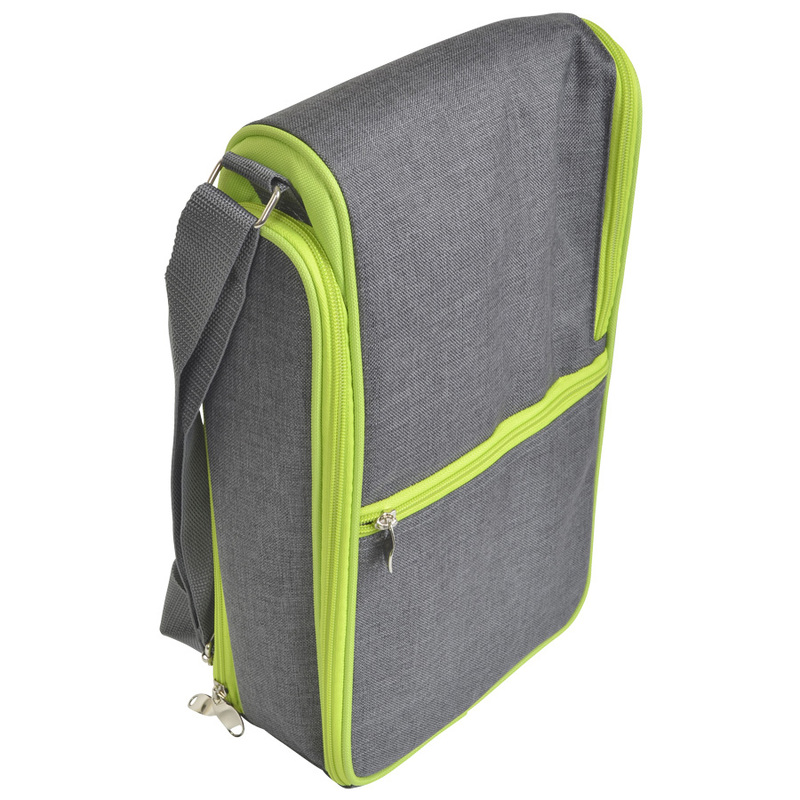 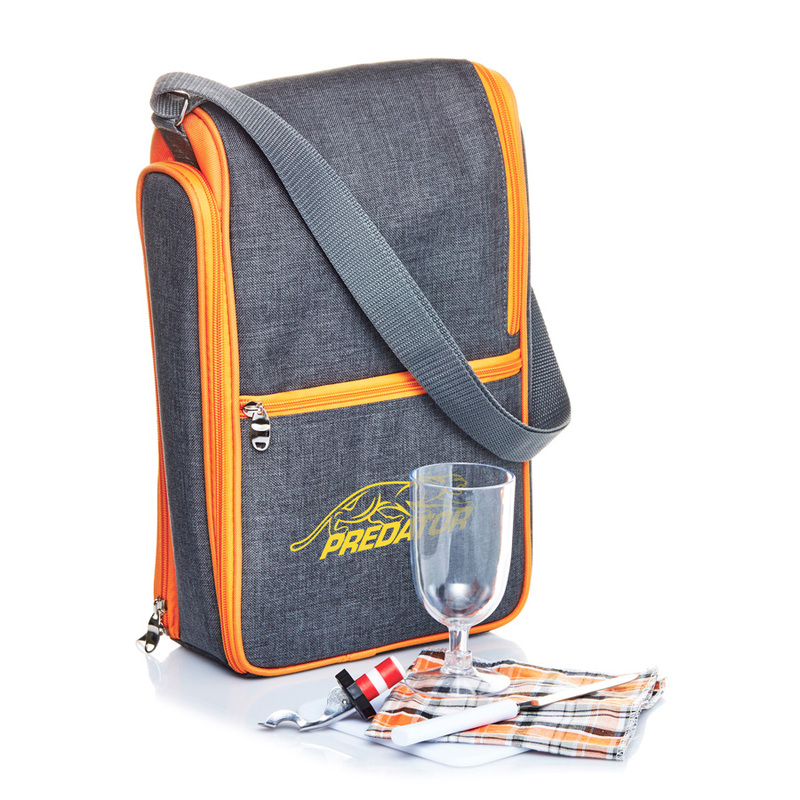 Your customers or staff will love these picnic sets. They're easy to setup and include everything you need to relax and enjoy the experience. Help create some special memories with your loved one using these handy picnic sets. 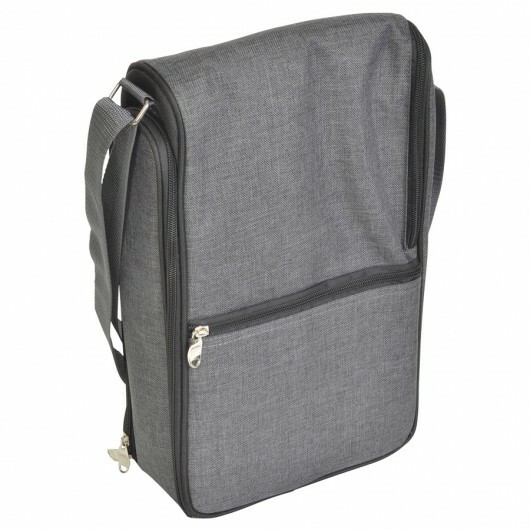 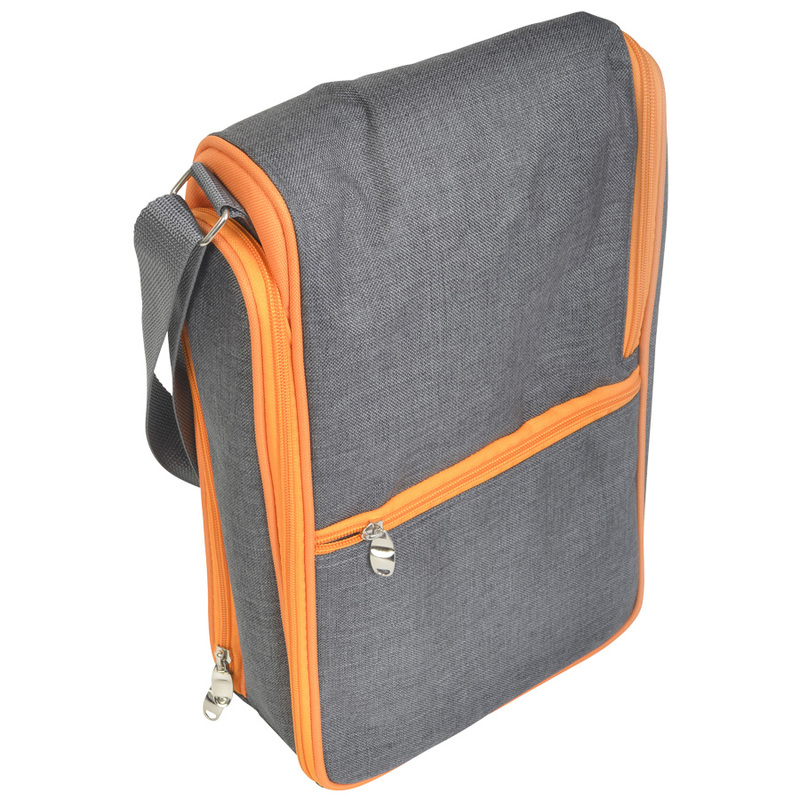 They make enjoying a romantic picnic that much easier and are easy to carry. 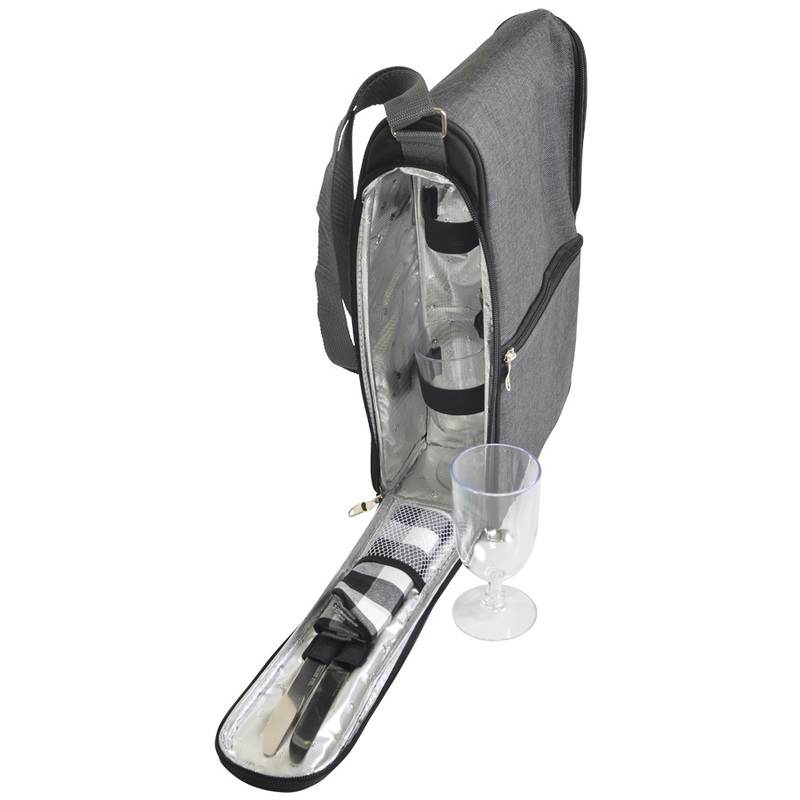 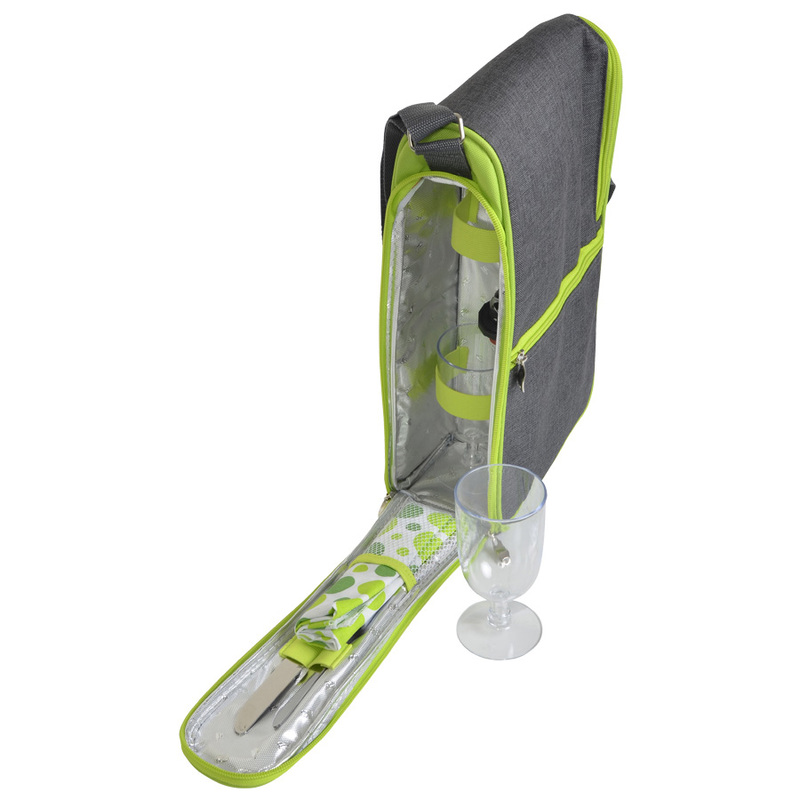 The set is designed for 2 people and includes 2x Plastic wine glasses/knives/cotton napkins, 1x cutting board, 1x compression sparkling stopper and a sling bag with insulated side compartments for keeping your sparkling wine nice and cool.